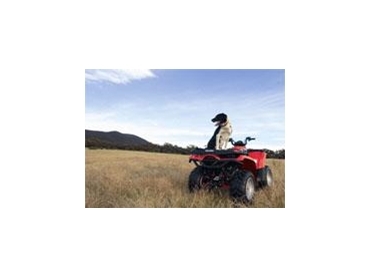 Throughout the first four months of 2009, the Hawkeye ATV has proved to be popular with Aussie farmers who are looking to put comfort first. Available from Polaris , the Hawkeye ATV was developed after research in Australian and NZ markets in 2000 and was the world’s first ATV to include a 299cc engine with auto transmission and independent rear suspension. Hawkeye ATV’s have integrated storage with easy access even if items are tied to the front rack and also make use of Independent Rear Suspension (IRS) to ensure a smooth ride and minimize roll. The automatic transmission minimizes engine wear and tear, maximizes fuel economy and provides optimal transmission ratios. An important safety feature, PVT eliminates the need for manual gear changing, enabling more focus to be placed on the terrain ahead. Polaris is also aiming for more growth with a fleet of new models of ATVs. The Sportsman XP 850 EPS and XP 550, with 70 and 40 horsepower engines, offer impressive grunt. Also, the new Sportsman offers unbeatable ride quality. This new standard has been set with innovations such as anti-kickback steering, rolled IRS and the option of the best electronic power steering on the market.